Outside of East Pierce Fire and Rescue in Bonney Lake, the U.S. flag is lowered to half-staff after the Las Vegas shooting. On Sunday, as thousands ran to escape gunfire in Las Vegas, paramedics and firefighters rushed in to help. Fire Chief Bud Backer says the mass shooting reinforces the safety precautions he started making months ago. He received approval to purchase 32 sets of ballistic vests and helmets. 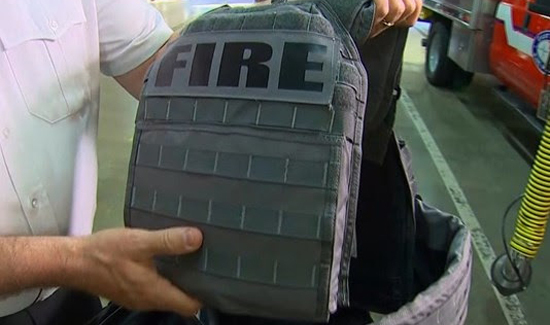 It is a $75,000 expense, and the vests will have to be replaced every five years. The goal is to be able to reach patients quickly and keep firefighters safe during dangerous calls. Chief Backer wants firefighters to work with local police agencies on a full-scale exercise on an active shooter incident. He hopes that training can happen sometime next year. 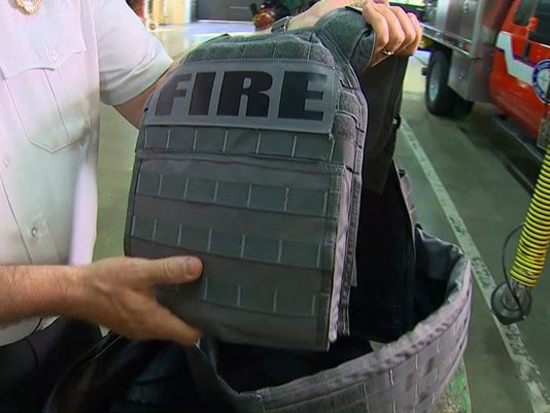 Dennis Lawson, president of the Washington State Council of Fire Fighters, says in the last five years more departments across the state have purchased ballistic vests. East Pierce Fire and Rescue Fire Chief Bud Backer says the mass shooting reinforces the safety precautions he started making months ago. He received approval to purchase 32 sets of ballistic vests and helmets. “It is a good step to make sure we protect our people,” said Lawson.